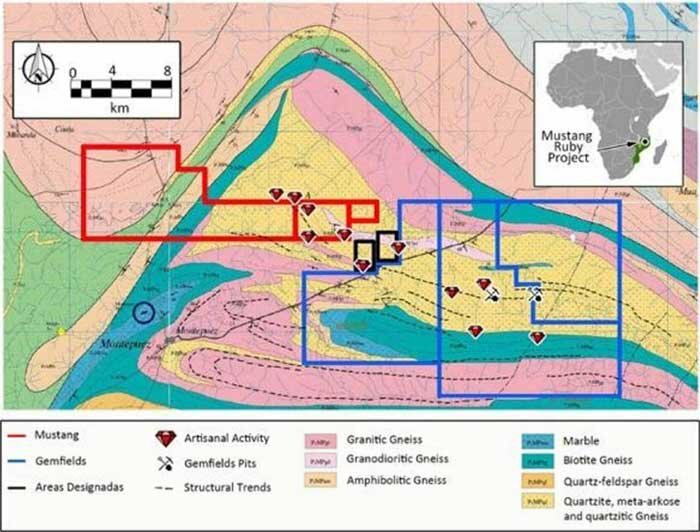 A commercially viable quantity of rubies is already coming out of the ground at Mustang Resources’ (ASX:MUS) flagship Montepuez Ruby Project in Mozambique. Famed author Salman Rushdie once said that ‘good advice is rarer than rubies’, Rushdie obviously never visited the world-class Montepuez ruby region. A total of 460.43 carats were recovered in the start-up of the bulk sampling plant at Montepuez, where MUS holds a 52.5-60% stake across three licenses. Here’s the kicker...commercial quantities of rubies are being recovered right now, and will allow almost immediate revenue generation. Grades of start-up recoveries are heavily diluted by gangue and other sand material, but that is not expected to be the case going forward – what happens when grades increase by 50 to 150%? The coming weeks should see volumes pick up and marginal costs dropping. However, before we go too far, it should be noted that for political and social reasons, this is a very high-risk stock. Running mining projects in countries such as Mozambique is no simple feat, and there may be challenges ahead. Mining is already underway, where logically the potential is that the rubies will be of a larger size and greater quality the deeper in the ground MUS digs. We already know from Gemfields PLC who operate in the same vicinity as MUS that the area is full of rubies. Gemfields has held six rough ruby auctions in 2014 and 2015 that saw values range between US$317 and US$688 per carat for medium to high quality rubies respectively, generating a total of USD$195.1M in revenues from its auctions to date. At an estimated ruby price of US$500 per carat, the 460.43 carats recovered from the recent bulk sampling would be worth around US$230,000. The ruby market itself has been gaining strength in recent years. The global polished ruby market size in 2014 was estimated to be worth US$2 billion, with high-quality rubies increasing in demand in recent years – cut and polished high quality rubies can go for as much as US$35,900 per carat for stones between 4 cts and 7.99 cts. Once stones go above 8 cts, the sale price become pure negotiation between the buyer and seller. If the size and grades increase as expected from the Montepuez Ruby Project as it progresses, the value of MUS’ rubies could increase by multiples generating significant value for the company and its shareholders. We’ll soon find out just how good the rubies at Montepuez are as the project shifts up a gear. 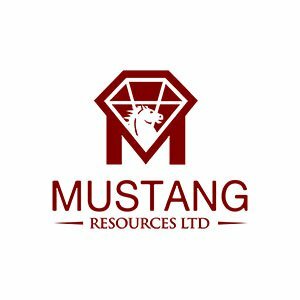 Strong recoveries from the startup of bulk sampling at Mustang Resources’ (ASX:MUS) Montepuez ruby project are an encouraging sign of what’s to come. 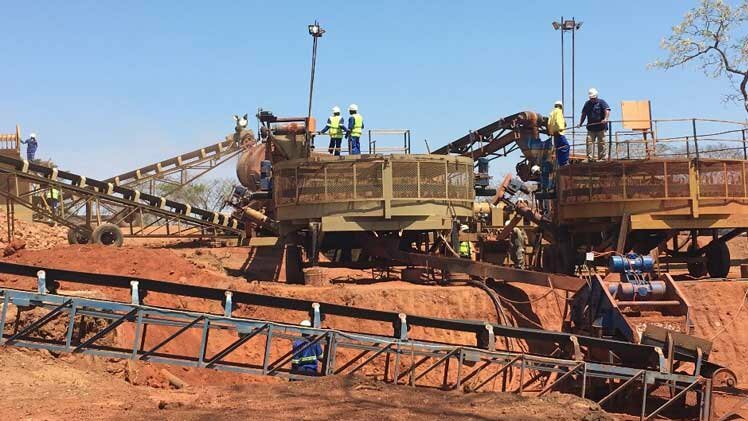 With $1.68M of cash on hand at the end of the September quarter, MUS is ready to fast-track development at both its Montepuez Ruby Project and Balama Graphite Project. Currently grades for the project are difficult to gauge until further ore is processed from deeper in the earth and across the deposit which remains open ended on all sides. Early developments look promising with MUS likely to start appearing on investors’ radars sooner rather than later. Please note that these are estimates and no guarantee to eventuate. There are still many possible hurdles facing MUS, and this is a high risk stock. Seel professional financial advice before investing. Initial bulk sampling at the Montepuez project has recovered 460.43 carats of high-quality rubies at the MUS’ bulk sampling plant in Montepuez, Mozambique. The rubies have been recovered as part of the initial commissioning phase with 2683 tonnes of material processed. Essentially the rubies recovered are equivalent to five days of output once the plant is in full operating capacity. As optimisation work at the project continues we would expect recoveries to improve over time, however this is already impressive from the get-go to say the least. The plant will be ramped up to process 525 tonnes per day by November 2016 to work through the stockpile of ore. The next step for MUS is to work through the 12,997 tonnes of gravels that has already been mined and transported to the plant. Rubies tend to be of greater size, quantity and grade the deeper you dig into the earth so it will be interesting to see the results that will come out in the coming weeks. However it all bodes well for MUS who are already yielding commercially viable rubies from the surface exploration program alone. It is almost unheard of in the industry to be recovering such quality so early on in the mining life cycle, as we mentioned earlier, start-up recoveries are generally heavily diluted by gangue and other sand minerals. As MUS digs deeper at the Alpha deposit we would logically expect to see grades increase and larger stones coming out as that is the nature of rubies being pulled down by their heavy weight. As touched on earlier, Gemfields, who hold a ruby deposit next door to the Montepuez project, produced revenues of USD$195.1M from six auctions between 2014 and 2015. Gemfields’ medium grade rough rubies sold for US$317 per carat and premium quality rubies went for US$688 per carat. 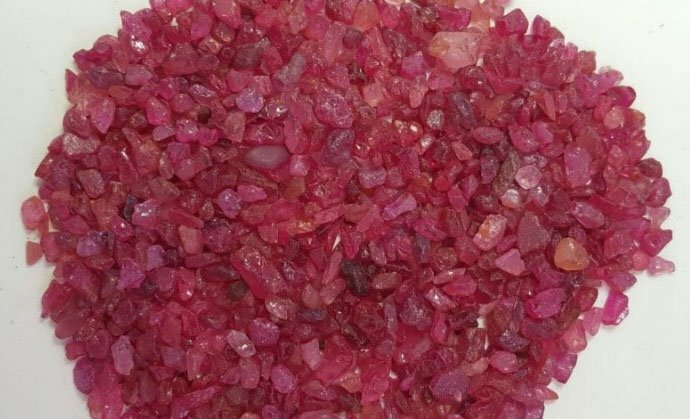 It is entirely possible for MUS to cut and sell its rubies to extract maximum value from the production to wholesale sale value chain in future. With MUS’ current market cap hovering around $10M, it’s possible to see how continued positive news flow from the Montepuez ruby project could see the company receive a rapid revaluing from the market from here. Fast and economical auger drilling will kick off at the Montepuez project in the coming weeks. 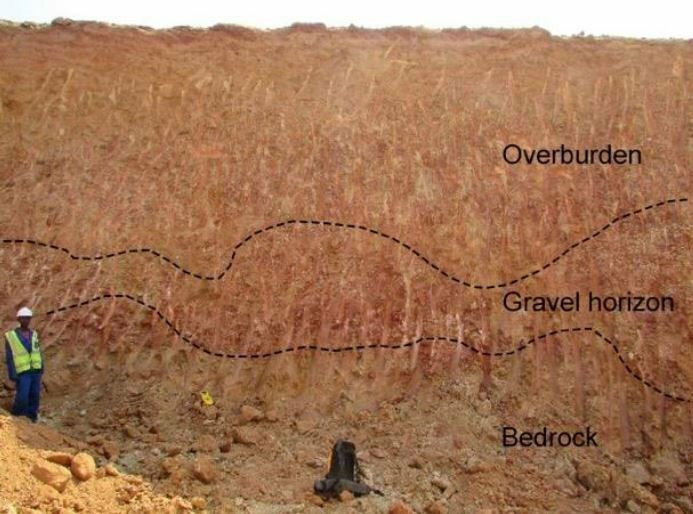 The drilling program will be used to delineate how the further mining should be carried out by mapping out the gravel beds across all three of MUS’ concession boundaries. The results of the drilling program will allow for estimates with regards to the volume of gravel-ore material and following the sales of a sample of rubies recovered from the deposits, the estimation of a JORC compliant inferred resource. The first phase of the pit at the Alpha deposit has reached bedrock at 9.2m with an average gravel package of 1.8m. At present MUS is extending the pit to the south-west where the gravel horizon was located at a depth of 14m & 11.7m during initial exploration. The Alpha deposit is open ended on all sides and will definitely increase in size as the auger drilling program maps the full extent of the deposit. As we indicated previously, deeper parts of the deposit are likely to herald larger stones and higher grade concentrate of rubies, so we are looking forward to the drill results. Speaking of drill results, the market won’t have to wait much longer to see what’s in the ground at the Balama graphite project, which is located in the world-class Cabo Delgado graphite province in Mozambique. 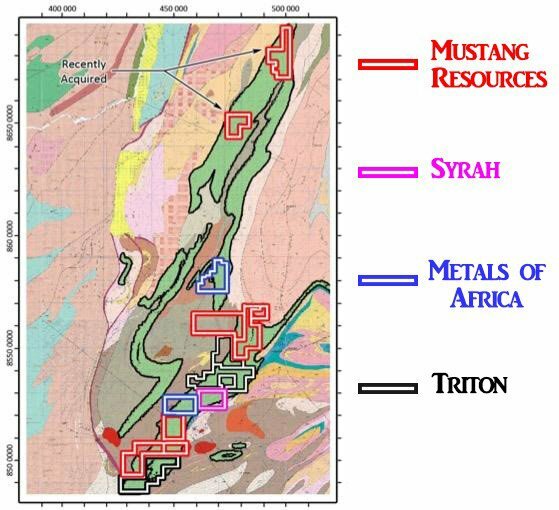 The project is along strike from both Metals of Africa’s (ASX:MTA) graphite projects and Syrah’s Resources’ (ASX:SYR) Balama graphite project. MTA had saw its share price jump over 170% recently and SYR has a market cap around $960M – compare that to MUS with around $9M. The current drill program consists of seven diamond drill holes targeting highly ranked targets identified during the RC drilling completed in November 2015, which identified a 67m wide high-grade graphite zone with 23 samples above 15% TGC, including intervals @22% TGC and 20.7% TGC. The resource definition work is being conducted on a low-cost budget and is targeting the delineation of a JORC compliant resource on license 6678L, of which MUS holds an 80% stake in. By Q1 2017, MUS anticipates to have attained a JORC compliant resource at Balama. MUS is currently engaged in strategic discussions with market participants for potential future supply agreements. Processing at the Montepuez plant will be ramped up over the coming weeks to work through the 12,997 tonnes of gravels which are already at the plant ready to be fed through. Announcements will be made as rubies are recovered and graded, initial results from the bulk sampling suggest the grade and quality could be rather impressive. 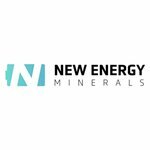 Drilling at the Alpha deposit will soon commence, along with two additional targets identified at Montepuez that also contain ruby mineralisation to be drilled over the course of the project. MUS will seek sales and marketing agreements over the next months to sure up revenues, of which it anticipates by Q1 to Q2 2017. Initial ruby sales from bulk sampling will be sought in early 2016 through a tender or auction process. Should a high dollar figure be secured in the sales process, the Montepuez project would surely receive a boost in value. MUS will seek to have a JORC resource established by mid-2017, of which by then would give market an understanding of the inferred resource size. Mining plant and feasibility study is set to be completed over the coming 6 months, with full scale production in the second half of 2017. The pre-economic study that estimates the revenue stream from the Montepuez ruby project stated that with an estimated recovery of 14,112 carats per month and an assumed average sales price of $250 per carat, revenues generated would equal approximately US$4.9M per month. Whilst a pre-economic study works on implied values, it’s easy to see how the current ~$10M market cap for MUS could be in line for a re-rating in the near future. Especially with neighbour Gemfields generating USD$195.1M in revenues from just six auctions between 2014 and 2015 and capped at A$433million. However a successful investment in MUS is no guarantee. Investors should consider more than just the content of this article before choosing to invest. Results from the graphite diamond drilling that began in October will soon be announced to the market. MUS shareholders could be rewarded should the Balama graphite project return results similar to its peers in the region.